"Bringing Your Product to Market," sponsored by Rouses Markets and The Paul C.P. 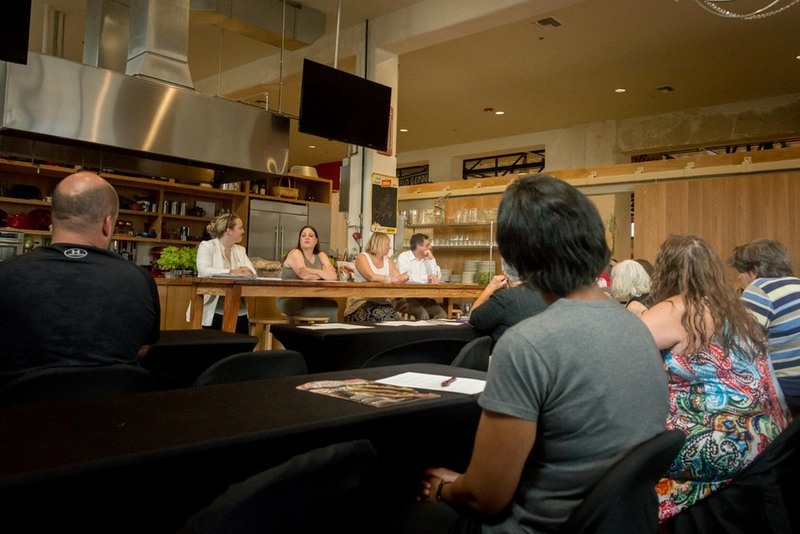 Mcllhenny and Filles Youth Mentorship Program, was an informative and fascinating program for culinary entrepreneurs at Rouses Culinary Innovation Center by Jenn-Air last Saturday. We welcomed creative culinary entrepreneurs who wanted help in taking their product to the next level and getting it on grocery store shelves. 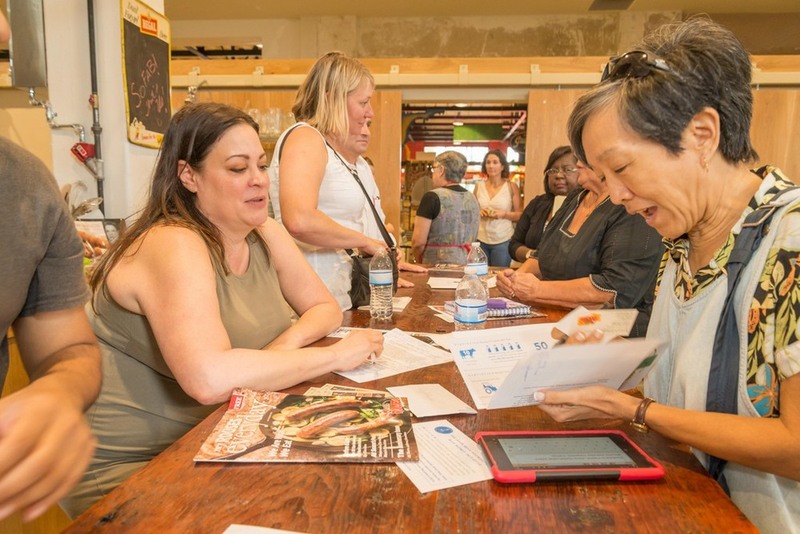 Some moms of those entrepreneurs came too to get ideas, and some industry individuals who hoped to meet people they might represent. Everyone networked and enjoyed lunch provided by Rouses. The helpful panel included Rouses staff members Lloyd Songy, Grocery Buyer, Chaya Conrad, Bakery Director, and Marcy Nathan, Creative Director. 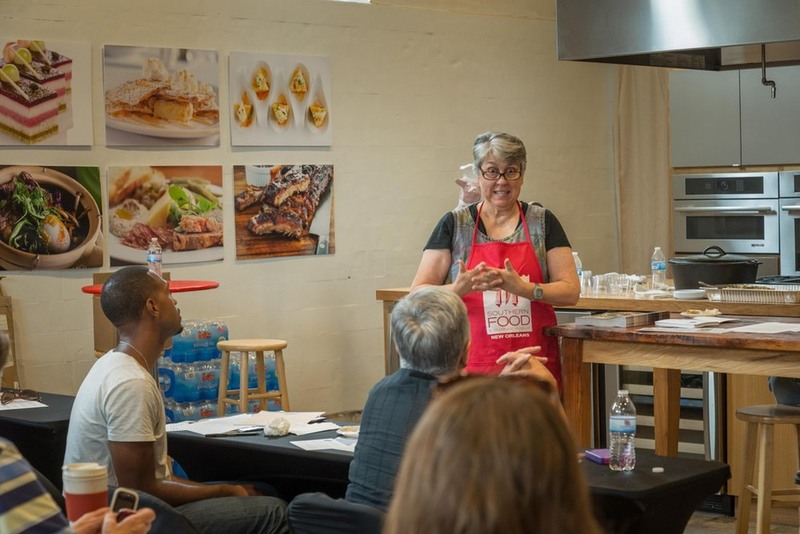 Carolyn Rosen of The John Besh Foundation and Sanjay Kharod of Edible Enterprises offered perspective on microlending and providing incubator kitchen services to culinary entrepreneurs. We look forward to seeing some of these innovative food product ideas on the shelves of our local Rouses!